Situated near the end of a 13-home cul-de-sac is this 1956 Palmer & Krisel-designed home in the San Fernando Valley Community of North Hills, CA. 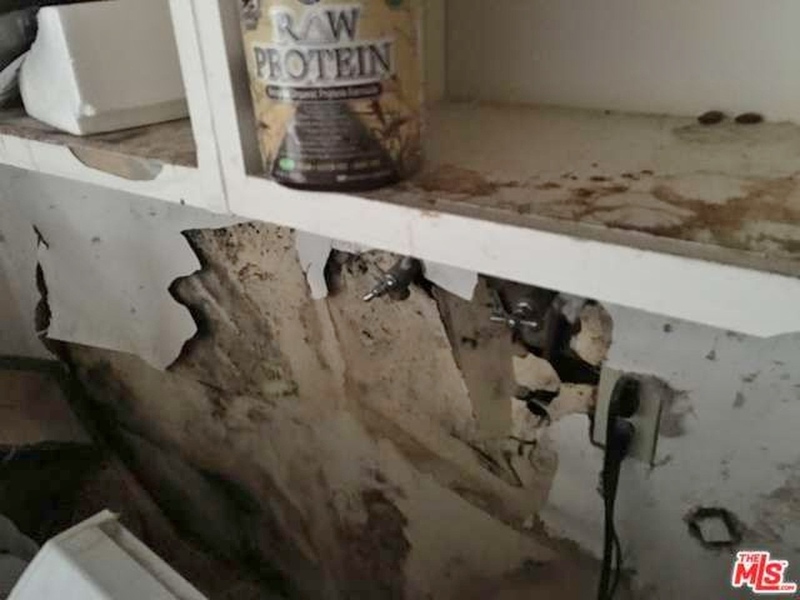 Built by A. Sandler and D. Aldler Enterprises, this home is in need of major repair. With three bedrooms and two bathrooms in 1,344 square feet, an empty in-ground pool and a detached two-car garage on an 8,400 square-foot lot with an asking price of $460,000. The property is currently a short sale subject to bankruptcy court and lender approval, so those with a little patience and a lot of cash would be the ideal buyer of this property. There’s only seven photos of this home provided, and by the looks of the photos, lots of elbow grease and vision is needed. From the interior photos shown, the open beamed vaulted ceilings appear to still be in place. 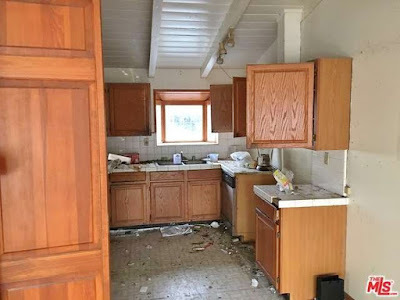 The kitchen is in need of an overhaul, last updated in the late 1980s with tile counter tops and raised-panel cabinetry. Any appliances appear to be long gone. The laundry room appears to have suffered a major leak, with water damage tearing aprart the interior walls and warped, split wood flooring in a secondary bedroom. 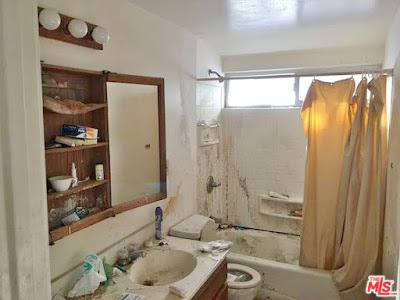 The bathroom isn’t original, and is pretty much a cesspool of filth, with who knows what on the walls and fixtures. A total gutting would be pretty understandable. 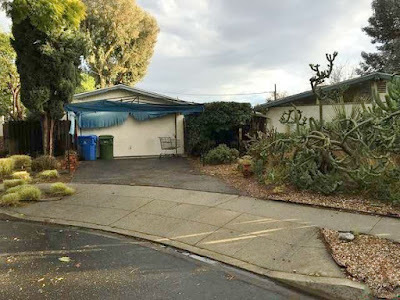 The yard photos indicate some really beautiful, specimen cacti, agaves and yuccas, with lots of overgrown vegetation in between. 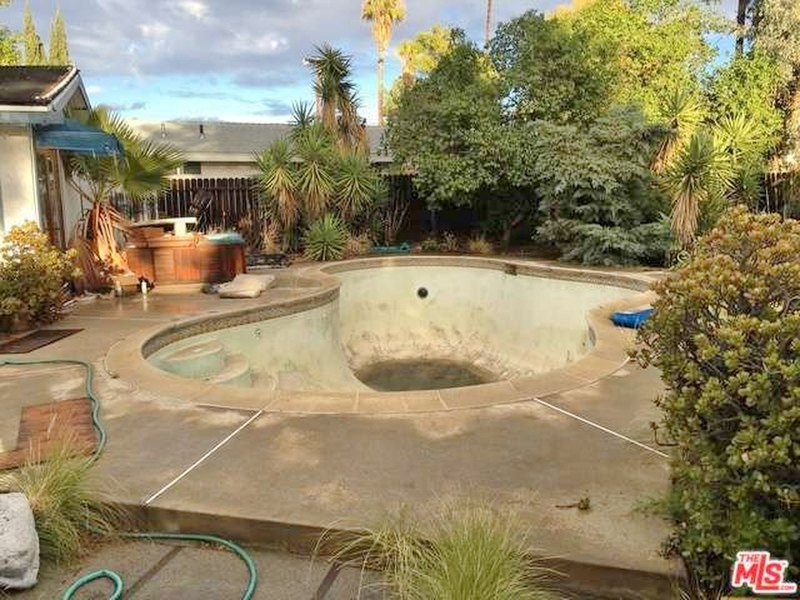 The pool is empty, and may need replastering. 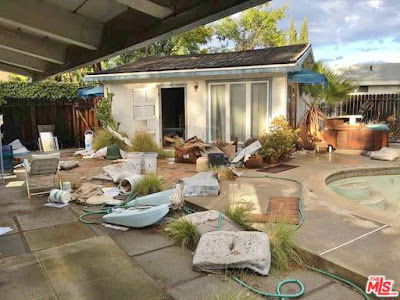 The yard also appears to contain lots of debris and garbage, which is a pretty good indicator that the inside of the home most likely contained the same. 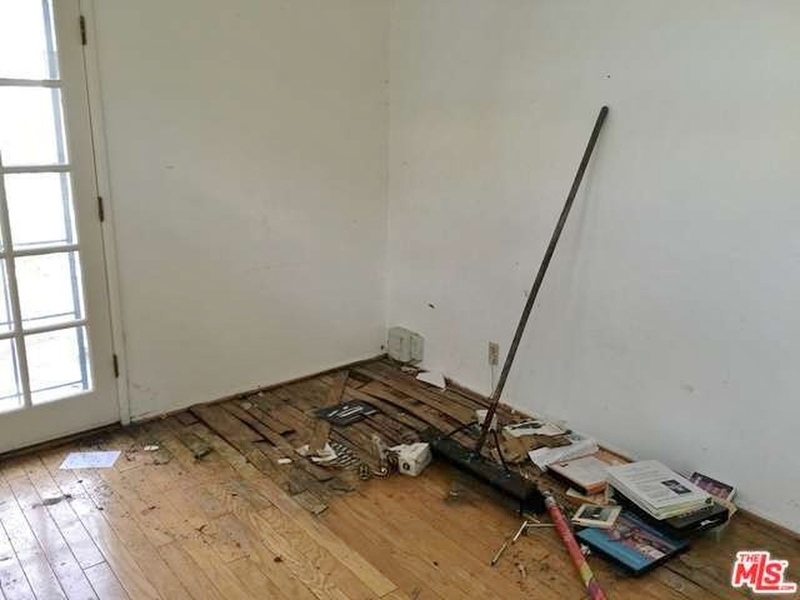 There’s a lot of vision and a lot of elbow grease needed with this property, and hopefully the midcentury modern details of the property won’t be lost in the renovation.